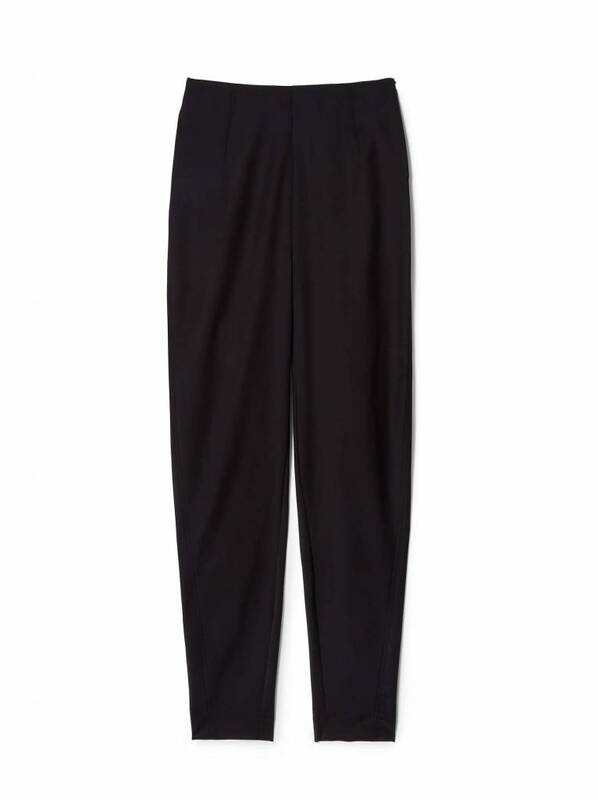 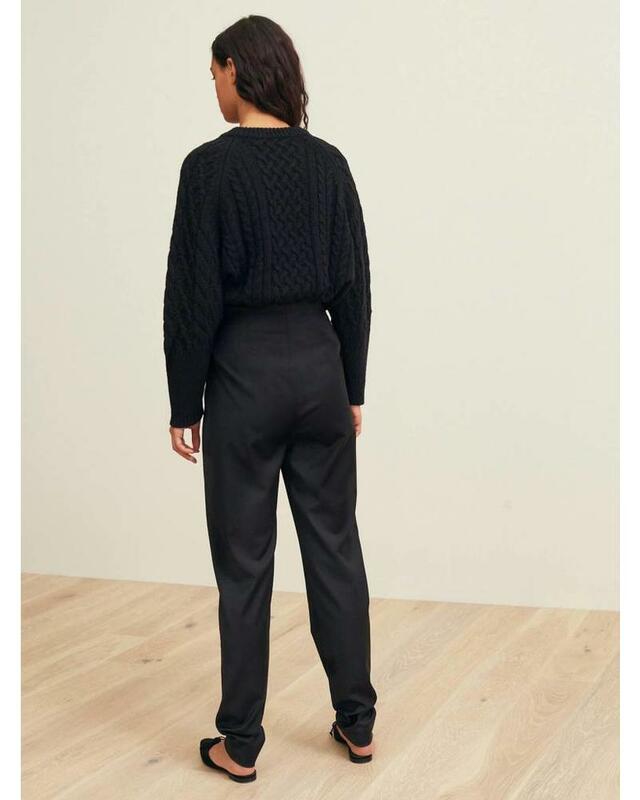 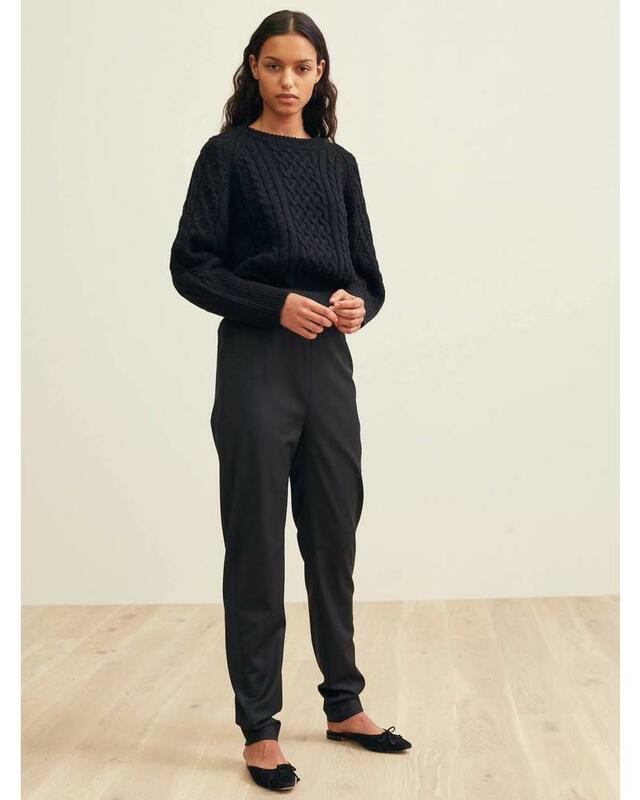 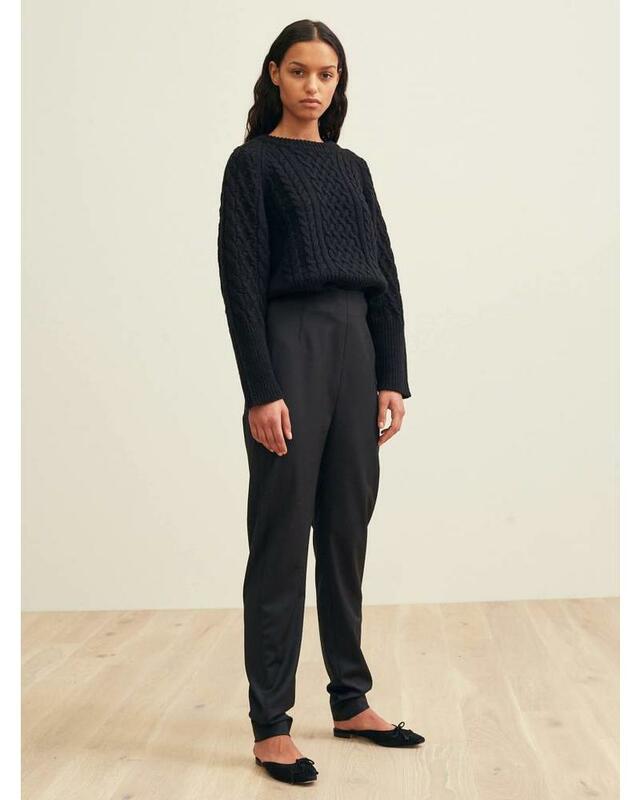 Vieste is a high waist trouser, cut from a soft wool blend, with a matte finish. 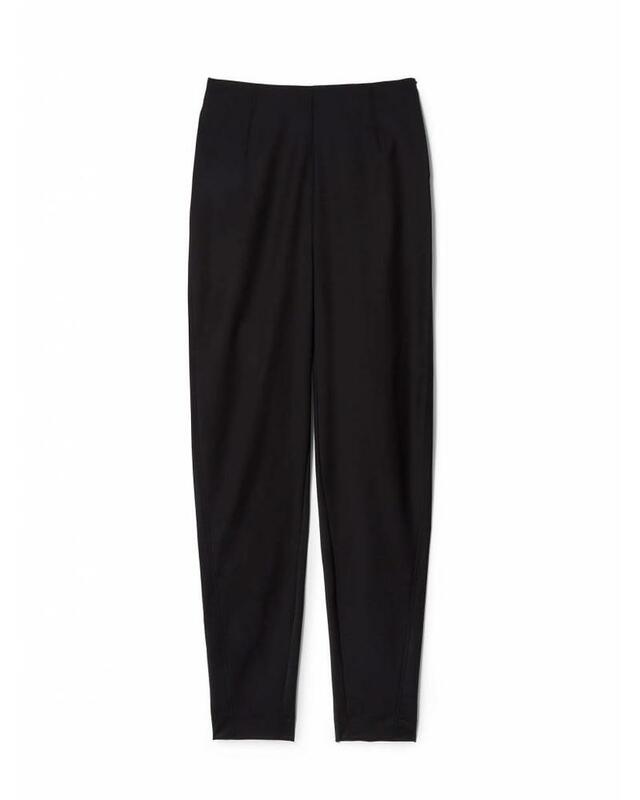 Featuring a tailored, yet soft silhouette with long legs gathering at the ankles, for a relaxed look. 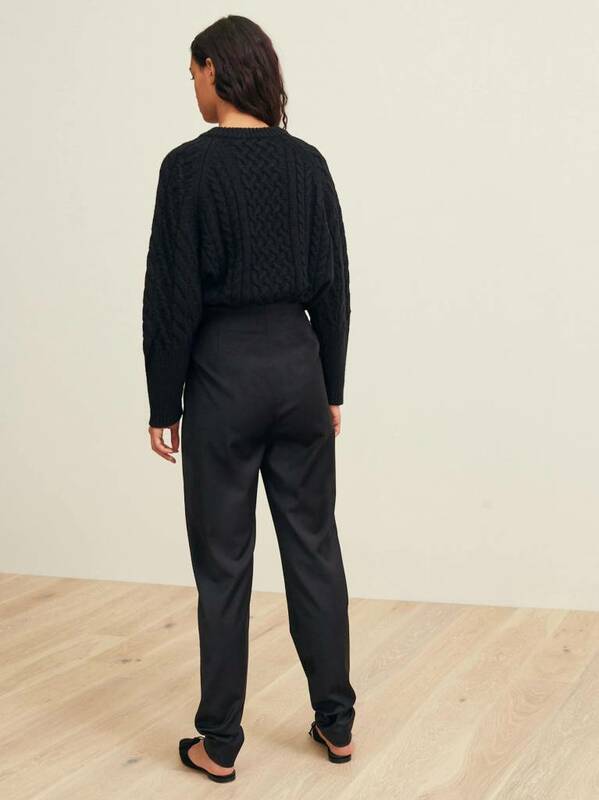 Style with a chunky knit like Calais, or a classic like Espera long sleeve.